HALBAN Under the motto “Reconnect through sports” the Tuesday Champs series continued yesterday with their second doubles tournament in Badminton at GUtech. In an effort to build bonds between the students and the university the second monthly sport competition was held at the GUtech sports hall. “This extracurricular activity is thought to promote involvement on campus and to give a platform for interaction between GUtech students and staff. Due to a random drawing, the players came to the sports hall not knowing who their partner will be. It led to a thrilling tournament but also to meeting new people and engaging the interaction between students and staff,“ said Gunhild Pfaff, Manager of the sports office at GUtech. Several badminton players were fighting until the last and even bringing out some great attacks. Finally Taahirah Khaleque and Markus Gelfgren walked away as the winners of the tournament, followed closely by Geetanjali Sambangi and Ferdinand Marcelo in second place. Showing strong strategic tactics, Tim Reisdorf and Markus Graminsky took 3rd place. Due to the support and generosity of our sponsor Supa Sportsman LLC, those three teams received high value Badminton rackets to further their love to the sport. 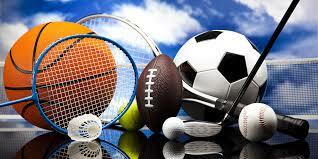 With over 22 players and a total of 20 games, this successful tournament was sponsored by Supa Sportsman LLC. “It led to a fun and engaging afternoon and attracted during the competition many visitors. Especially the final was a great taste of the whole tournament as it was thrilling and nerve racking to the same time,” said Maia Kuhnen, who is currently supporting the sports office as an intern and is leading various sports activities throughout the week. “We would like to thank everyone who came out to watch and especially those that came out to participate and showed inspirational sport spirit. We look forward to doing the next Tuesday Champs session on Tuesday, 13 December with the Basketball and Football tournaments,” said Gunhild Pfaff. An exhibition entitled “Omani Architecture in the Eyes of Omani and German Students” showcasing water color and freehand drawings of diverse landscapes and urban features in Oman was inaugurated at the Omani Embassy in Berlin (Germany) last week. The exhibition shows results of a joint Omani-German student field excursion conducted in March this year by Prof. Gazmend Kalemi of the Department of Urban Planning and Architectural Design (UPAD) of GUtech and Prof. Gerd Sedelies of Beuth University of Applied Sciences in Berlin, Germany. A group of 10 German students from Beuth University and 10 Omani students from GUtech were involved in the elective course. To be actively engaged with the place, the students travelled around Oman for ten days and captured with their pencils or water colors various places and prestigious landmarks such as the Royal Opera House, Old Muscat, Sur, Ruwi, Al Hamra and Misfa Al Arbeen. “We were honored to visit several wonderful and truly inspiring locations, where we tried to embody the atmosphere and to understand and respect the richness of Omani culture with drawings on paper. We combined together with students from Oman focusing on both contemporary architecture and historical features,” said Prof Gerd. “Art has a long-standing tradition in many architectural programmes around the world. The computer has had an enormous influence on architectural design in recent years. However, freehand drawing is a very useful tool in order to capture different atmospheres as well as the visualisation of ideas,” said Prof. Gazmend Kalemi, who is teaching drawing to architecture students at GUtech. “We do not teach a certain style of drawing but we try to encourage the students to find or believe in their own capacity of expression,” said Prof. Gazmend. The field-trip was part of a cooperation agreement between both universities in order to enhance student exchange and knowledge transfer. The UPAD Department of GUtech recently participated in an Architecture Summer School at Beuth University and is planning to promote similar field excursion in and around Berlin next year. “We would like to enhance our common activities in drawing and architectural design between the German and Omani students so that those activities will be fruitful outcomes of their entire higher education,” said Prof. Alexander Kader, Head of the UPAD Department. GUtech offers a four year, internationally accredited degree in Urban Planning and Architectural Design (BSc). HALBAN At the recent World Robot Olympiad (WRO 2016), held from Nov 25 to 27 in New Delhi, India, the GUtech Robo1 students team finished 29th in the Advanced Robotics Challenge in a field of 52 teams from all over the world. The first two top teams were from Taiwan, the third place came from Russia. The GUtech team was ahead of the other GCC teams in the contest, 33th place was the team from AMA International University, Bahrain, and 42nd place the team KuBo from Kuwait. The GUtech Robo1 team is grateful to the Ministry of Education for having been selected as the team representing Oman at the WRO 2016. “The robot of the GUtech team was built using Tetrix and the Lego EV3 brick as controller. The task of the contest, building a bowling robot, had been announced about a year ago. Since then, all teams had been busy building and fine-tuning their bowling robots. The best teams from each country were then selected in national contests to represent their respective country at the world finals in Delhi,” said Prof. Dr. Rudolf Fleischer of the Department of Computer Sciences at GUtech. The World Robot Olympiad has been an annual event since 2004. It brings together young people from all over the world to develop their creativity, design and problem solving skills through challenging and educational robot competitions and activities. This year, the world finals were organized by the India STEM Foundation and the National Council of Science Museums (NCSM under the general theme of “Rap the Scrap” – meaning that all games in the Regular and the Open Category were focused on reducing, recycling and managing waste. Next year, the WRO 2017 will be held in Costa Rica. The Advanced Robotics Challenge will be to build a robot playing Tetris. Halban A special lecture entitled “Urban-Land-Art” was held by the architect Ercan Agirbas from the University ETH Zurich (Switzerland) at the GUtech’s Department of Urban Planning and Architectural Design last week. “Land arts are like sculptures. The fascination of urban and land art is to realize ideas by using material that is already existing in our environment. I try to learn from artists. In order to feel the soul of a certain space, we need to act and think as architects and as artists,” said the architect who has realized a number of international projects mainly in the city of Gelsenkirchen, Germany and as well in Istanbul, Turkey. He has offices in both countries. “To realize an architectural project architects need to work between the analysis and the planning. We always try to create a soul of the city. After having an idea you have to work with urban planners and architects to realize the development plan,” said Agirbas. In this context, Agirbas has realized a water design work in a park in Strasbourg, France and bus stops within the public transportation network in the city of Riyadh. During his lecture the architect showed examples of landscape works by James Turrell, who works with light as well as examples by Mark Boyle and Olafson. Turrell has realized a light tower in the desert of Nevada while Olafson created a waterfall under a bridge in New York. Turrell also created frames or sky windows to lighten up the spaces inside buildings. BARKA The German University of Technology in Oman (GUtech) has held the National Day Celebrations under the auspices of H.E. Mohammed Bin Salim Al Toobi, Minister of Environment and Climate Affairs and a number of dignitaries at the university today. The official ceremony was opened in the evening with the Omani National Anthem and Quranic verses, followed by a welcome speech by the Rector of GUtech, Prof. Dr. Ing. Michael Modigell. He praised the unique leadership of His Majesty Sultan Qaboos bin Said. The events started already in the afternoon with a traditional bazaar, Omani poetry recitations, a car show as well as a traditional Omani music band. 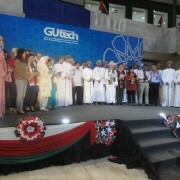 Many GUtech staff and students attended the event. The amphitheater of the GUtech building, the center of the campus, was decorated with Omani national flags. The evening concluded with a typical Omani dinner, shuwa, which was prepared on campus and other traditional food and sweets were served as well. 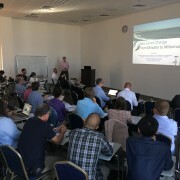 Forty-eight experts in the field of coastal geology and sea-level change from 15 countries gathered last week at the German University of Technology in Oman (GUtech) for an International Conference entitled IGCP project 639 „Sea level change from minutes to millennia“. Prof. Dr. Gösta Hoffmann of GUtech and Bonn University (Germany) who was one of the main organizers of the meeting has been conducting research on the coastal development in Oman in the past years. “We are running research projects funded by The Research Council Oman (TRC). So far, we were able to communicate our results by scientific publications. 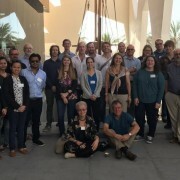 Now the time is ripe to gather all international experts on tsunami, storm and earthquake impacts here in Oman and present the evidence directly here in the field,” said Prof. Gösta Hoffmann. The Conference at GUtech was sponsored by UNESCO, GUtech and the Association of Geoscientists Aachen, Bonn, Cologne, Jülich. UNESCO is the only United Nations Organisation with a mandate to support research and capacity in geology and geophysics. The field-meeting during the six day conference turned out as a great success as the international scientists agreed that the coastal zone is of outmost importance to the Sultanate. Here most of the population is concentrated, especially in the Al Batinah coastal zone. Furthermore, critical infrastructure such as desalination plants and refineries are on the coast as they depend on these locations. “Sea-level changes over timescales from minutes to millennia are of great concern to coastal communities. 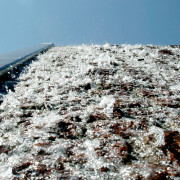 Long-term changes in sea level due to the solid earths response to glaciation and tectonics are the background rate upon which the hazard from anthropogenic sea-level change and extreme inundation from tsunamis and storms must be superimposed,” said one of the principal investigators Prof. Dr. Simon Engelhardt (University of Rhode Island, USA). For this reason, the meeting had three different parts: “On the first day we presented our research methods in a hands-on training day. All GUtech students were invited to work with the state-of-the-art instrumentation that GUtech provides. The next two days saw world-class presentations of the leading experts in the field of coastal processes. Furthermore, we organised a three-day expedition for the delegates to see the scientific evidence and to discuss the relevant issues directly in the field. This was both a challenging as well as rewarding effort, given the international composition of the group, including the various cultural as well as educational backgrounds,” explained Prof Gösta Hoffmann. UNESCO´s International IGCP project 639 „Sea level change from minutes to millennia“ is scheduled between 2016 and 2021. The conferences will provide a platform for the development of integrated records of sea-level change and coastal hazards obtained from instrumental, historical, archaeological and geological records. According to Prof. Gösta Hoffmann this project will place a particular focus on integrating disparate records in growth regions for science namely in Africa, South America, and in the Middle East. It will also expand upon previous coastal projects that focussed on Europe and Asia. The next meetings are scheduled for 2017 in South Africa, 2018 in Italy, 2019 in China and 2020 in Chile. The president of the Arab-German Chamber of Commerce and Industry e.V. (Ghorfa), Dr. Peter Ramsauer visited GUtech along with a German business delegation on 15 November. Dr. Ramsauer is the former Federal Minister of Transport, Building and Urban Development. He has been a member of the German Bundestag (parliament) since 1990 and is currently Chairman of the Committee on Economic Affairs and Energy in the Bundestag. The delegation was accompanied by the German Ambassador to the Sultanate, H.E. Hans-Christian Freiherr von Reibnitz. The President of Ghorfa was impressed of the GUtech campus building and the number of students studying at the university. 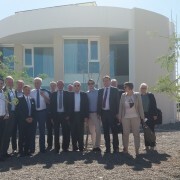 The delegation also visited the GUtech EcoHaus, an energy-efficient student project, constructed on campus which was awarded by The Research Council (TRC). The business delegation is currently on a four-day visit to the Sultanate, where they explore business opportunities, making contacts and identifying areas of cooperation. The group comprised 19 representatives of various fields including consultancy, IT services, logistics, engineering, chemical industry, waste water treatment and medical services. HALBAN An International Geosciences Conference entitled “Sea level Change from Minutes to Millennia” will be held between the 9-15 November at the German University of Technology in Oman (GUtech). A total of 50 scientists from 50 different countries including Germany, US, China, Estonia and Canada will participate. “We analyse the impact of sea level changes. Sea level changes are either the impact of instant changes like storms, indundations and tsunamis or long-term changes as the consequence of global climate change. This is important as coastal areas are densely populated, including critical infrastructure, such as desalination plants,” said Prof. Dr. Goesta Hoffmann, Associate Professor at GUtech’s Department of Applied Geosciences and at Bonn University (Germany). For his research achievements, Professor Goesta Hoffmann received the National Research Award of The Research Council last year. The conference has been organized five times per year. The meeting in Oman will be a kick-off meeting for a joint project, to be scheduled between 2017-2021, which will have four principal investigators. The six-day conference will include a one day workshop at GUtech, two day oral and poster presentations at the university and three days field workshop in different places in Oman. The conference is sponsored by UNESCO, the German Association of Geoscientists in Bonn, Cologne and Julich and GUtech. The Programme has always built bridges between disciplines and between scientists, including young ones, with aims of stimulating cutting-edge research and sharing scientific knowledge for the benefit of all. For over forty years, UNESCO has worked with the International Union for Geological Sciences (IUGS) to mobilize global cooperation in the Earth sciences through the International Geoscience Programme. This Programme has provided a platform for scientists from across the world to push the frontiers of knowledge forward through concrete projects. Better understanding the Earth is essential for the diversity of life and future of human society. The Earth sciences hold key answers to the challenges we must overcome to preserve our environment and develop sustainably.